Yesterday, I sampled a Swoffle for the first time. 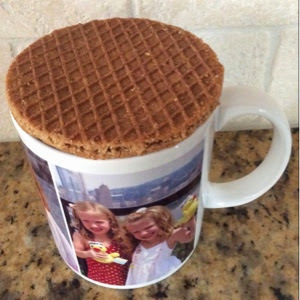 A Swoffle is a gluten free caramel-filled waffle cookie, also known as a stroopwafel in the Netherlands. Swoffles are made with an organic gluten free flour blend of rice and tapioca flours, organic tapioca syrup, organic cane sugar, organic palm fruit oil, butter, liquid whole eggs, molasses, cinnamon, pure vanilla extract, sea salt, baking soda and nutmeg. 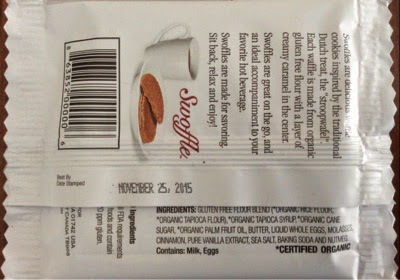 Swoffles do not contain GMO ingredients, and are free of wheat, corn, nuts, and soy, but they have an allergen warning that they contain milk and eggs. Each Swoffle is 150 calories. 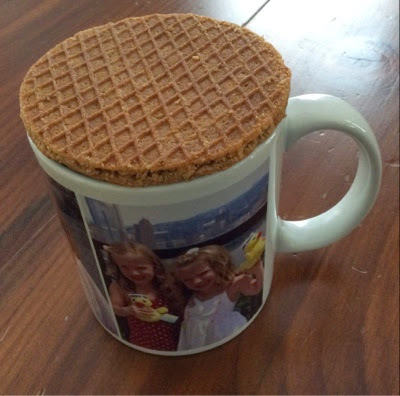 I am sure that a Swoffle would be amazing with a cup of coffee or tea. They are the perfect size to sit on top of a steaming beverage to warm them up, but I found them incredibly delicious enjoyed on their own. 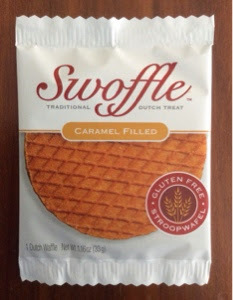 Swoffles have the perfect amount of creamy caramel in the center, and they have a lovely texture and chew. I especially liked the hint of cinnamon I tasted in every bite, and that they were not overly sweet. 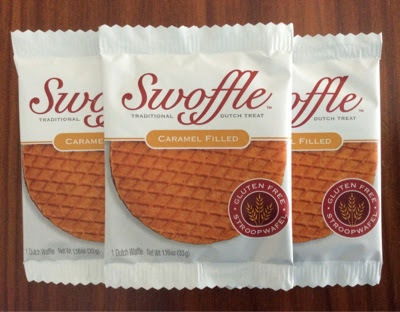 Swoffles are one of the best gluten free cookies I have ever tasted. 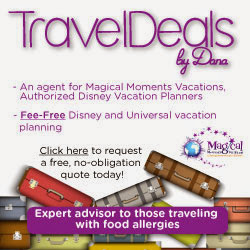 Because they are individually wrapped, they make for a great on the go snack, especially if you are going to a coffee shop. You can purchase Swoffles on their website here. Swoffle sent me three complimentary Dutch waffle cookies, but the opinions expressed in this review are entirely my own. You can follow Swoffle on Facebook and Instagram.